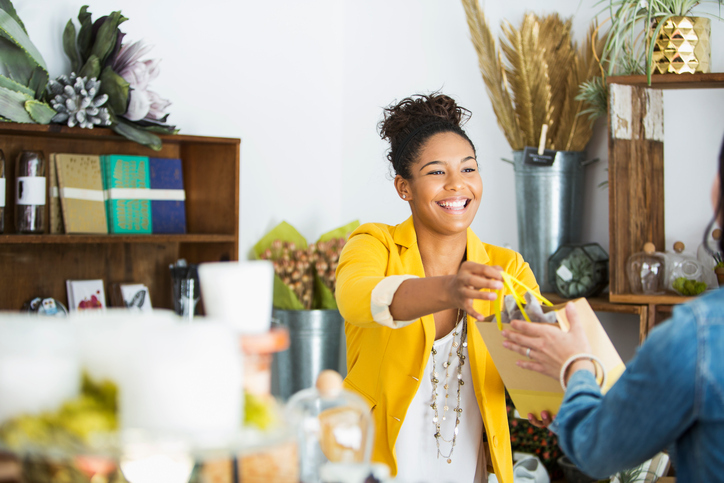 Most small business owners take time to learn how to attract and keep customers. Success, however, isn’t as simple as following a checklist. Doing “the right things” may not always go far enough — especially in an age when choice is rampant and new solutions evolve by the second. The trick to building loyalty among customers, of course, is to make them feel special. When you make them feel like their needs are understood, they are more likely to return. One easy way to do this is to end the transaction on a high note — by handing your customer a small gift imprinted with your logo and contact information. Hand over a beautiful wall calendar. You may think people prefer the e-planners in their mobile devices, but the fact is, people still use and want display calendars. In this survey, three-fourths of respondents could recall the name of the company advertised on a promotional calendar. In addition, 61 percent had a more favorable impression of the business after getting the calendar. Even better, nearly half went on to give a referral to that business. Indeed, the classic calendar bearing your name has great potential to build customer goodwill. It’s hard to come up with a simpler way to end a transaction on a positive note than saying, “Keep the pen!” Market research shows that promotional pens deliver a whopping 2,805 impressions. At a cost of one-tenth of a cent per impression, that makes the pen one mighty instrument. More than six in 10 people worry about battery life in their mobile devices, according to market research. When you consider many people need a power source at least once a day, it’s easy to see why. Hand your customers a power bank so they can stay charged on the go. Every time they use that power bank to stay connected, it’s another impression and a reminder that you were there for them. Once you have won your customer’s business, you have a nice little opening to make the interaction memorable. Browse our line of high-quality promotional products to choose a gift that sends the right message to your customers.